Every Monday, we launch a new IT product deal of the week (DOW) and if you’ve followed us for long, these deals have included a variety of our switches, servers, access points, and cabling to name a few. Make sure you’re set up to receive email or bookmark the DOW page for a simple reminder to check the weekly deal. If you could get the exact same product for a much lower cost, what choice would you pick? 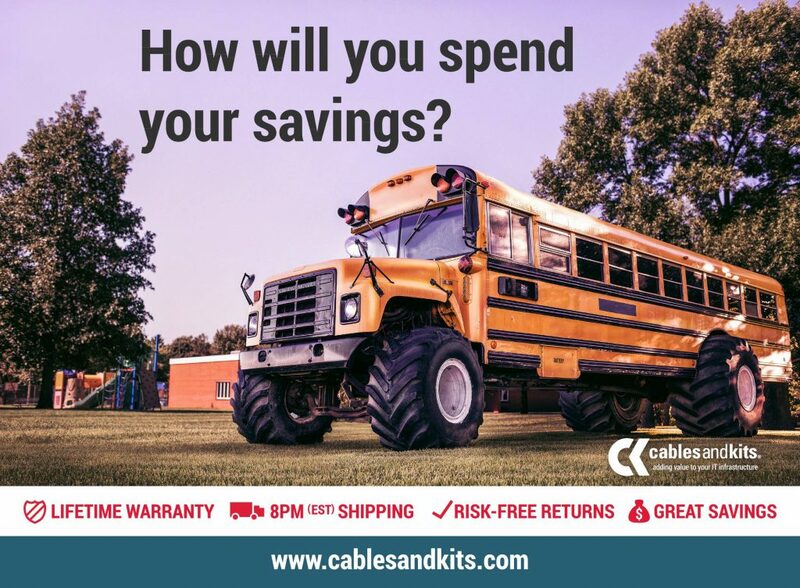 Yeah, the obvious answer is the lower cost option, and that’s a big reason why we at CablesAndKits do what we do. We want to facilitate you getting a quality product at a killer price. It’s why we go through such an extensive process to refurbish Cisco hardware and distribute great third-party options. 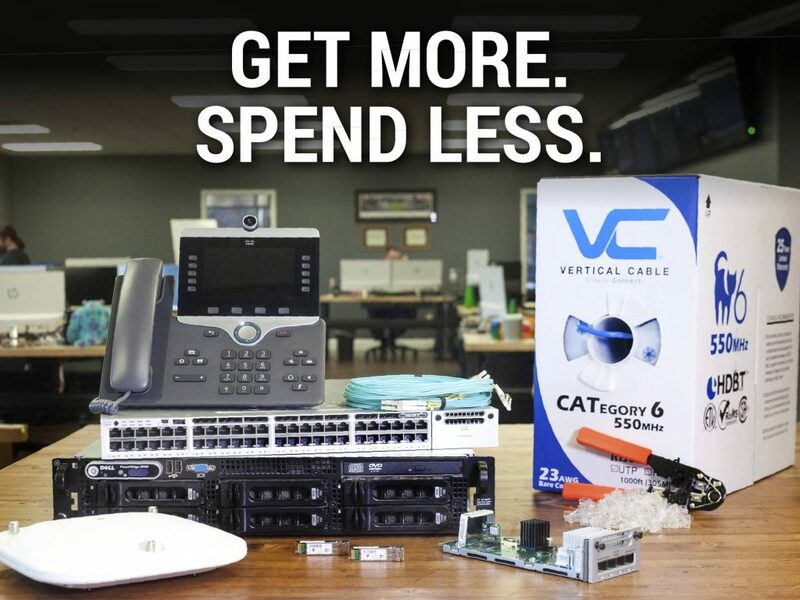 Consider not paying for the box and instead of purchasing new, get refurbished or third-party Cisco compatible. For many of you who live in and around the Atlanta area, you have the option to forego the shipping fee and pick up your products at our location in Buford, Georgia (north of Atlanta). In fact, every day we get to the see the smiling faces of many of our customers. Not only will you save, but you’ll get your in-stock products immediately. We know many will go the “extra” mile to save every dollar possible. If that’s you, kick back and put Braveheart in your VCR, because you’re going to need those three hours to make a wheelbarrow full of networking cables! If you’re not interested in building your own ethernet cables (which should be everyone), but still want to save, you can buy bundles instead. If you buy a bundle of one-hundred ten-foot cables, your cost is just over two hundred dollars*. We also offer bundles in 10, 25 and 50. 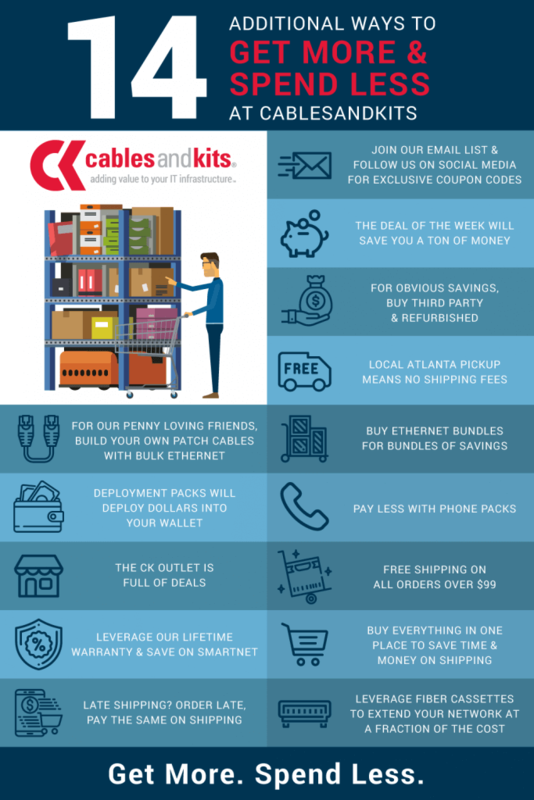 If you’re not familiar with CablesAndKits deployment packs, you’re missing out not just on savings but the ease of purchasing and installation. Unless you know what you want, and how you want it, buying Cisco hardware can be confusing. Which modules and cables do I need to buy with this switch? We simplify the process by packaging these relevant pieces together so you buy one thing and know you’ll have all the pieces to make it work. For example, if you buy our Cisco 3750G Series 24 Port Deployment Pack you’ll save over thirty dollars (10% off) on the purchase buying it this way instead of the individual components. While thirty dollars may not seem like much, this ten percent savings goes a long way when buying hundreds of units. If we’ve got a deployment pack, it’s probably the way you want to go. Outside of switches, we also offer deployment packs for Cisco Airnonet Access Points. Much like our deployment packs, CablesAndKits also offers IP phone (color & monochrome) 4-packs where you’ll save ten percent buying in bulk as opposed to single phone units. 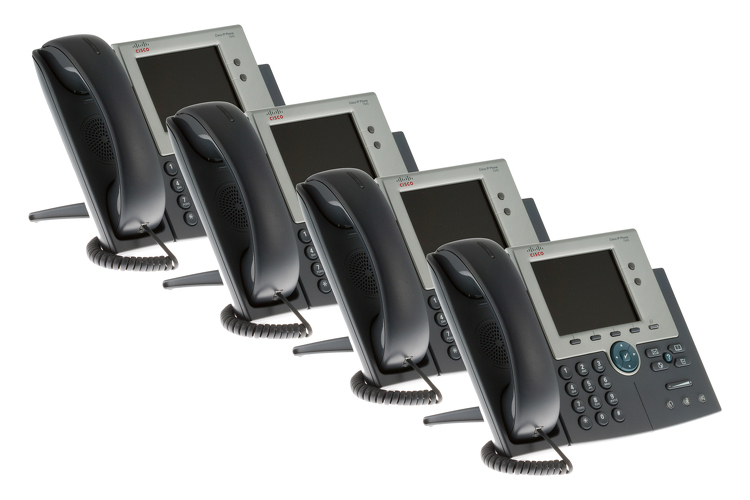 If you’ve got an office to equip VOIP phones with, our phone packs are the place to get those extra savings. On your way out the door from shopping CablesAndKits, we recommend you stop by the bargain bin, what we call the CK Outlet. In it, you’ll find cabling, switches, rack kits, and anything else we have on clearance. We already have low prices across the board, but with the CK outlet, you save even more! Instead of buying products from our store in piecemeal, we recommend spending time planning out your project so you can order all your items at once and get the free ground shipping on orders over $99 (excluding freight). A fifty dollar switch may cost you ten to twelve dollars in shipping. If you buy two, it won’t cost you any shipping dollars. Smartnet coverage gives users a product warranty, IOS updates, and troubleshooting support. But, there are many Cisco hardware users that purchase Smartnet simply for the warranty it provides on the units. 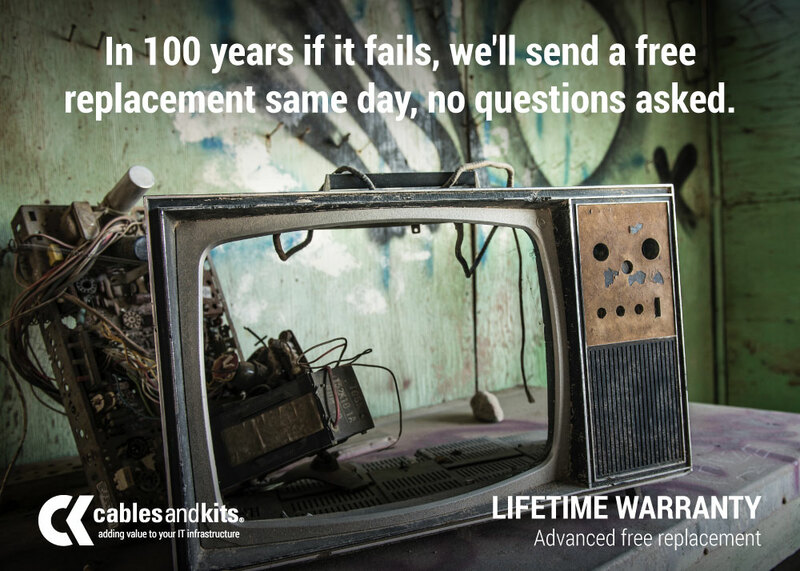 If this is you, you no longer need to make that extra purchase because, with the CablesAndKits Lifetime Warranty, you’ll receive a free advance replacement if the unit ever fails. If you find yourself purchasing only certain types of products from CablesAndKits.com and buying other items from different online IT retailers, we recommend buying everything at once in our online store. Not only will you qualify for our free shipping (excluding freight) more often, it’ll save you time and headache as you only have one source to manage. If we don’t have the product you’re looking for, contact us and we’ll work to make that extra item part of your purchase. We offer late shipping every weekday. Place your order by 8:00 pm EST and it’ll go out the same day. This gives you more time to place that order. If you make a late order elsewhere, they won’t ship it out until next day and that means if you need it quicker, you’ll pay more. With CablesAndKits we’ve made agreements with our shipping providers to provide the absolute latest pickup times so you get the longest time window to make that order happen. Because of how new they are, few people know about the MPO/MTP Fiber Cassette Modules we sell. These little units let you extend fiber networks in your facilities without requiring an IT professional to do the infrastructure installation (which would cost much more!). These plug and play units are simple and easy to use, and the companies that leverage them get the ease and cost benefits that come with them. CablesAndKits constantly finds ways to provide more value and lower your IT acquisition costs. Not only do we offer stellar prices on our products, we’ve got a slew of detailed ways for you to save even more. And you might even say we’re a little crazy for sharing this comprehensive list to help you save the most dollars on your physical IT infrastructure products.